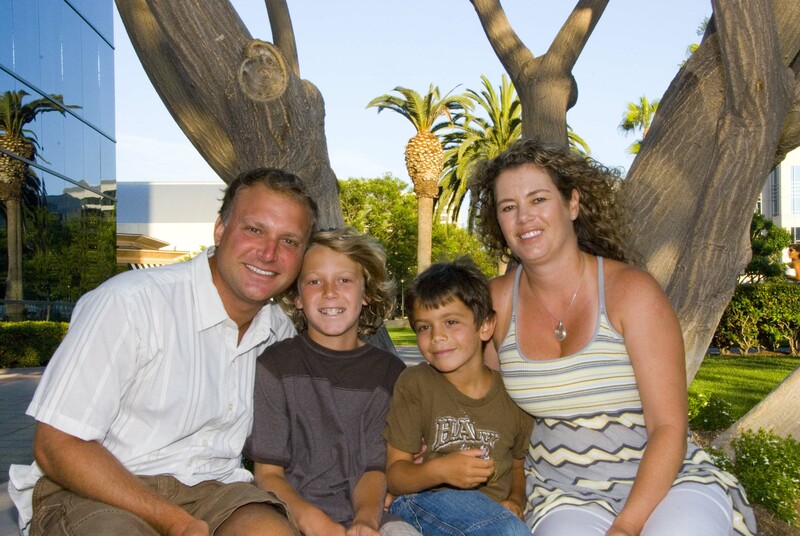 Scott Gale is a typical Southern California dad busy juggling family and professional responsibilities while trying to make the most of life. Inspired by a Fantasy Football League and the need for structure in his family, he wrote Your Family Constitution: A Modern Approach to Family Values and Household Structure. Author Scott Gale with his family. I met Scott during one of my MOPS (Mothers of Preschoolers) brunches last Spring, where he gave his account of the highs and lows of parenting. I could relate to Scott’s stories about life with his two boys since I have two sons myself and I thought it was interesting how he found a way to create order amidst chaos and find a balance between his home and work life. With school fast approaching, I thought it would be good to revisit the Family Constitution and ask Scott a few questions via email. Although I’ve always enjoyed writing, I never wanted to be an author. I became an author to share a parenting tool which I had created following some significant family challenges. The Family Constitution concept made a huge difference in my life, as well as my wife and kids. I hope my experiences can help other families who know they have problems to solve, but don’t know where to start or where they want to go. With your busy job and a family, how did you find the time to write? I had to carve out time during my work week to write. I changed my schedule to work from home periodically. I am a real estate developer by trade, so the opportunity to author a book gave me the opportunity to focus on something positive during the real estate downturn. Do you plan on writing another book? Not any time soon…maybe I’ll do a follow-up during the next real estate recession…ha ha. Why do you think it’s important for parents to read parenting books? There are no manuals or warranties that come with children, only promise and potential. Parents need resources to help their families successfully develop and to navigate the pitfalls of a very complicated world. Some people are very open and may talk to friends and relatives for advice, while others prefer to read books and/or blogs. It doesn’t matter how parents reach out, but we all need impartial advice and ideas to help us raise the best kids we can. With the new school year starting, can you give us three tips to start the year right? 1. Create clear and consistent boundaries, then pair each boundary with appropriate rewards and/or consequences. Whether it’s homework, chores, bedtimes or anything else, make sure your kids understand what is expected and what impact their decisions will have (both good and bad). Maintain consistent enforcement, as this will foster healthy routines. 2. Strive for steady improvement, not perfection. If you seek a perfect family, you’ll inevitably be sorely disappointed. You’re better off identifying a few areas where your family can improve, then making it happen. Once you’ve tackled the first few issues, move on to improve other behaviors or sources of controversy. 3. Commit to making your family better and expend the necessary time and effort. Creating an effective family structure takes front-loaded work, as you should articulate your family values, goals and challenges before you make the framework. This will help to focus and achieve meaningful results. If things don’t go as expected at first, don’t give up. Instead, make adjustments to the rules and try new angles. The key is not to spontaneously make changes, but to rather discuss changes during a family meeting or other appropriate time. 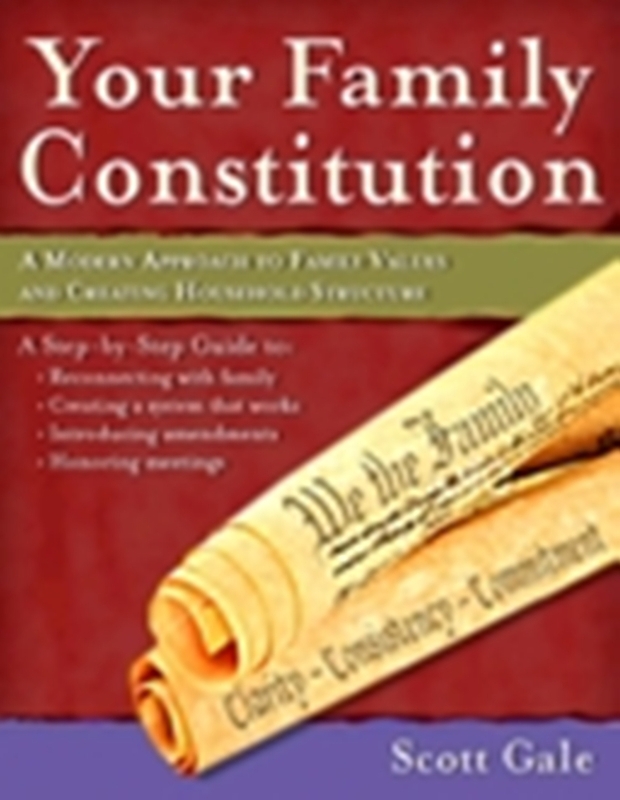 Win a copy of Your Family Constitution: A Modern Approach to Family Values and Household Structure by leaving a comment at http://www.ocfamily.com/bythebook or here and tell us one RIGHT you would like to include in YOUR constitution.